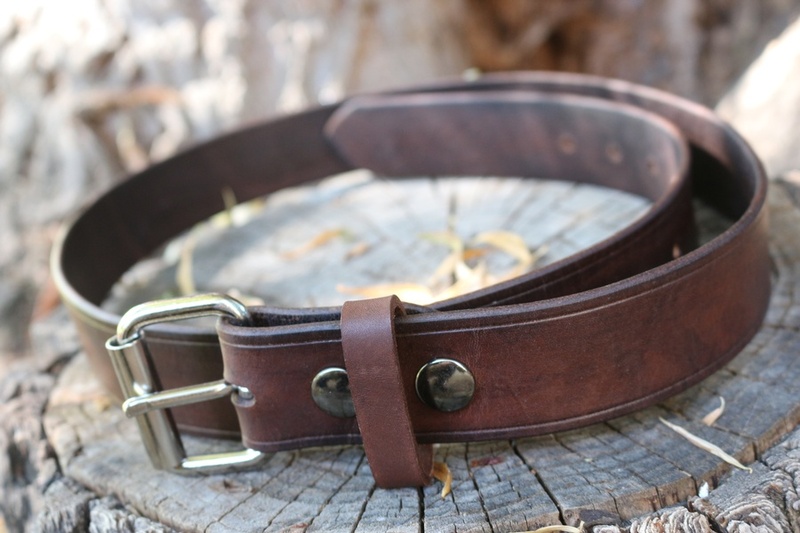 A top quality saddlery leather belt, made in Canada, great for pouch and sheath carry, as well as holding up your pants! 1 1/2 inch width with heavy duty buckle with roller. Two heavy duty snaps keep the buckle in place meaning you can also feed the belt with out the buckle, or replace the buckle. Really nice quality belt will give you years of service. Colour is dark brown. Belts are measured to the middle eye, so will run several inches past and prior to this to allow for expansion or contraction! 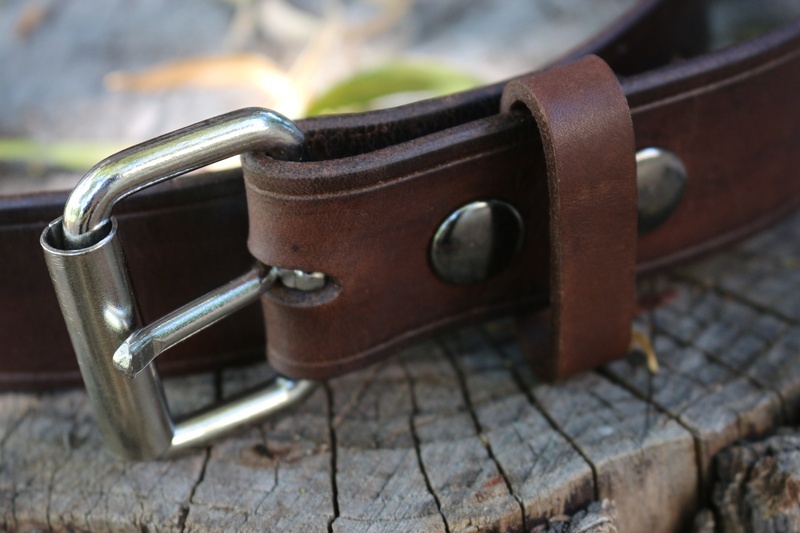 Purchase through PayPal by using the "Add To Cart" button above or use the form below to order the Canadian Bushcraft leather belt . 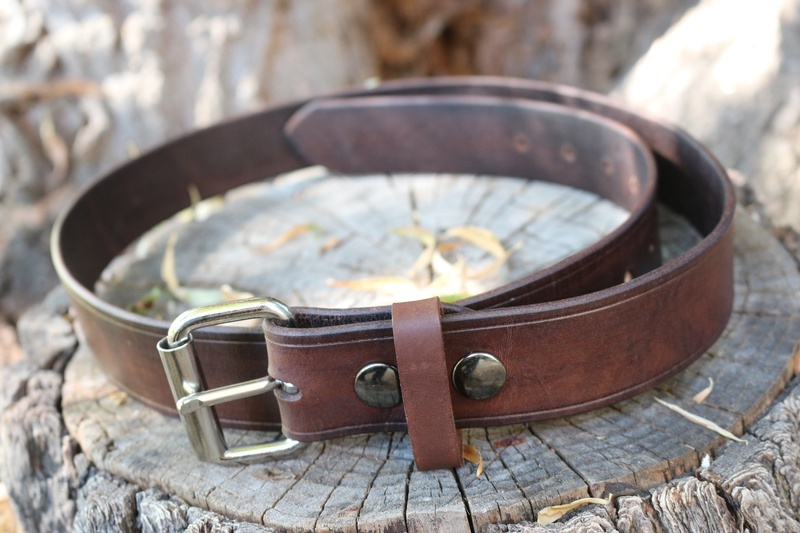 Feel free to contact us if you have any questions about the Canadian Bushcraft leather belt .